Our summer exhibition consisting of interactive VR rooms combining co-created and inspired works from his residency at CAMH and accompanying photographs of these environments. Brad Necyk is an Edmonton-based multidisciplinary artist and researcher exploring ideas of medication regimes, psychiatry, and the narratives that form around and within these systems. Over the past five years, Necyk’s work has focused in on patient experience — whether that of his own or others — and representations of mental illness and trauma. Exploring how we treat ill populations can provide a lens into many facets that make up our historical and contemporary collective condition as subjects faced with being-ill and doing-illness. Who do we treat? Why do we treat some populations and not others? What pathologies are important to treat? What are the experiences of treatment or withholding treatment for patients? What meaning-making event happen when you are becoming ill? This exhibition focuses in on Necyk’s time at the Centre for Addiction and Mental Health (CAMH)’s as its first visiting artist researcher. While there he spent time with patients — attending group therapy sessions, recreational activities, and simply spending time within the unit. Quickly, within each visit, they found themselves co-creating artwork together: a mural and a series of photographs of patient rooms. 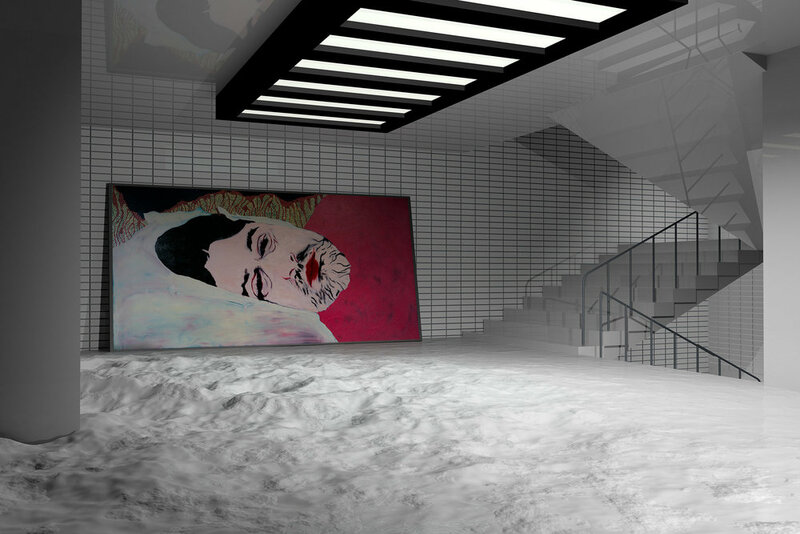 From these co-created works, Necyk created new works of his own, first, from a manic episode following his last visit that fueled an exploration of illness through painting, and second, through 3D-rendered spaces that pull together all the experiences, research, and artistic explorations over the past year into imagined spaces. These layered works tie together themes around trauma, time and healing; with each piece emerging from the cluster of experiences at the hospital and personal illness. It is maybe through examining these individual and personal experiences that we are able to re-imagine new ways of re-approaching the collective experience as a whole to psychiatry and the systems of care. Brad Necyk is a multimedia artist in Canada whose practice engages with issues of medicine, mental health, and precarious populations and subjects. His works include drawings and paintings, still and motion film, sculpture, 3D imaging and printing, virtual reality, and performance. He recently finished a residency with AHS Transplant Services in 2015-16, works as an artist/researcher in a project on Head and Neck Cancer, and is completing an arts-based, research-creation Ph.D. in Psychiatry. 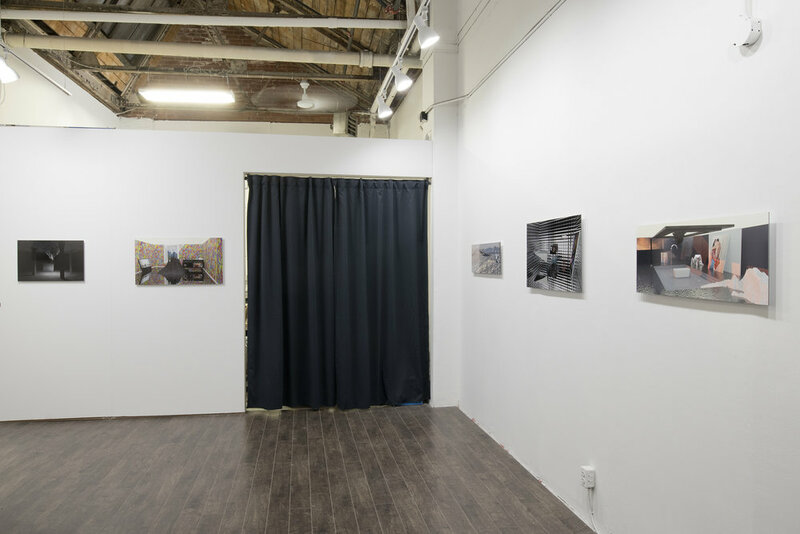 Currently, he is a visiting artist/researcher at the Centre for Addiction and Mental Health in Toronto and had a studio residency at Workman Arts, Toronto. His current work focuses on patient experience, auto-ethnography, psychiatry, pharmaceutics, and biopolitics. His artistic work was included in the 2015 Alberta Biennial, and has been shown internationally, most recently in Buenos Aires, Argentina and Chicago, IL; he has presented academic work at conferences in Canada and internationally, most recently at the 2017 SLSA conference in Phoenix, AZ, and the 2017 Association of Faculties of Pharmacy of Canada in Quebec. Brad sits on the boards of several professional bodies, and is a Scholar at the Integrative Health Institute at the University of Alberta. He currently teaches senior level courses in Drawing and Intermedia at the University of Alberta and MacEwan University. The artist's talk will begin with a brief reading of a written narrative title 'Alberta #3', then move to a description of the project, its origins and the experiences that came from it, and the approaches Necyk takes as an artist/researcher to conduct research through the act of creation. 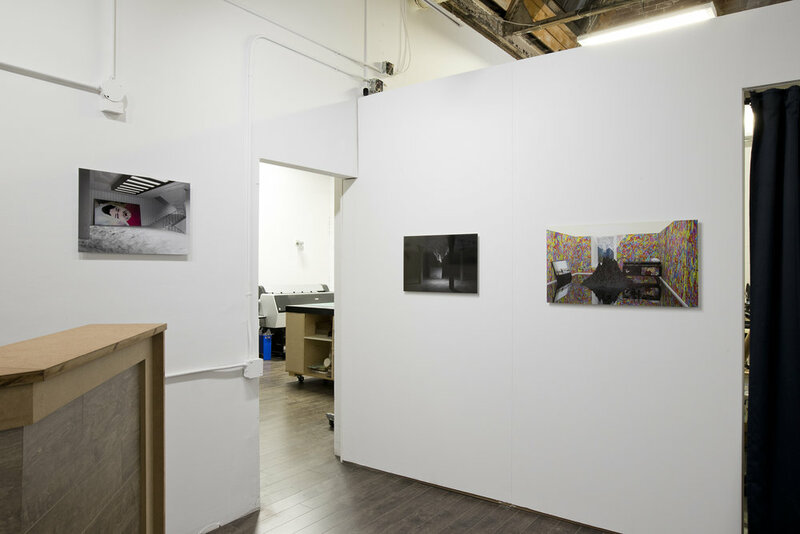 The works in the current exhibit—the Otherwise series—come out of the artist’s experiences during a residency at Toronto’s Centre for Addiction and Mental Health (CAMH) during 2017, where he worked with patients and staff. Although the pieces stand alone, they build upon two other groups of work made in the same period: Mania, a series of oil portraits, and Psychiatric Rooms, digital pictures of inpatients’ rooms at the Centre, each staged in certain ways by its inhabitant in a kind of aesthetic co-creation. 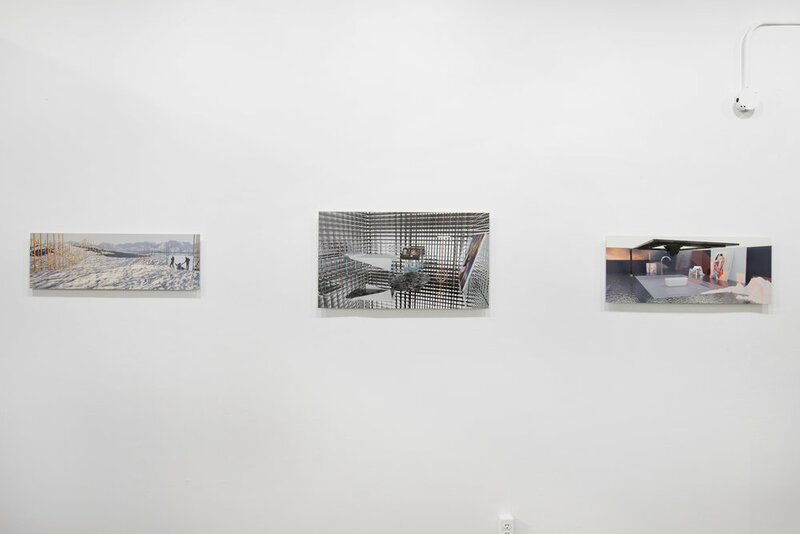 The Otherwise images both extend and reproduce the previous works, extending their philosophical and ethical themes (around issues of identity, trauma, embodiment, illness, mental health, representation, and the like) while also visually reproducing certain works within the bounds of the new digital prints, so that select paintings from Mania or details from Rooms haunt the virtual spaces of Otherwise. And those works resulting from the same residency are not the only moments of contiguity and extension with Necyk’s previous work. Consider the two photographs inserted into the frozen landscape of Together otherwise. Both were taken in Iqaluit, during the artist’s experience at the Canadian Association for Suicide Prevention Conference in 2016. There he ran a workshop for community members—many with histories of suicide, either personal or familial—using the techniques of image theatre (a form stemming from the Theater of the Oppressed methods originally developed in 1960s Brazil) in which participants sculpt each other into living statues expressing some idea, experience, or emotion, in that case centered on the personal and communal experience of suicide and depression. Or consider the ways that the inserted Mania paintings (themselves produced during the artist’s manic episode after spending time with patients at CAMH’s Mood and Anxiety unit) recall an earlier series of self-portraiture: the Reflections series (2012) in which the artist photographed himself in the reflective surfaces of his bathroom, in taps, handles, and knobs, to create surreal and distorted images that tried to capture his own distorted mental state. In each case, the vulnerability and imperfection of the inserted artworks (themselves haunted, as they are, by human experiences of trauma, and illness, and loss) contrast with the clinical precision of the digitally rendered image. The six Otherwise images, then, might be read as forms of collage, bringing together into assemblage a variety of different media, forms, and methods into a new digitized whole wherein the parts influence and reshape each other. The surreal colors and organic form of the Mania image contained in Creating otherwise, for example, escapes the boundaries of its frame to influence the vaguely threatening kaleidoscopic psychedelia of the room’s digital walls, which seem to continue infinitely into the reflective surface of the floor. The fences in the more distant Iqaluit photograph of Together otherwise appear to have impinged on the digital landscape, echoed in the bars and shafts of the perplexing wooden fencing, in a kind of aesthetics of layering. This refers to the layering of digital images, colors, textures, and models found in digitally rendered images, but also to the layering of artworks and media; the layering of experiences, both individual and collective; of (auto)ethnographic methods; of illness, both mental and somatic; and of a practice founded on research-creation and the co-creation of art. And this starts to get at the broader aesthetic of Brad Necyk’s artistic practice. Aside from the constellation of objects and concerns running through his work—its content, of medicine and illness and the precariousness of any static and sovereign conceptions of selfhood—his aesthetic, the ways in which he formally arranges work, is one perhaps best captured by the multiple meanings of the verb to render. We can see its descriptive usefulness at the level of form, of course: these images are literally rendered, collections of 1s and 0s digitally synthesized by sophisticated programs to create the appearance of geometry, texture, lighting, color, shading, perspective, and so on. There is also the older meaning, of an artistic rendering or representation as such, the production or reproduction of an image through an artist’s skill and intent. But a third meaning of the word exists, one that seems particularly apt to capture the (auto)biographical and (auto)ethnographic methodology captured in the layers of Treating Otherwise’s images and the traces of other experiences and other people: this is the idea of the rendering plant, within which animals are materially processed into meat and other products. Just as the images are literally rendered through a digital process, so too are they figuratively rendered out of the artist’s experience: personal experiences with mental health issues, collective experiences through residencies and workshops, and the communal experiences of co-creating art with others. Treating otherwise presents the viewer with an accretion of aesthetics and experiences rendered visible, both figuratively and literally, within each individual image: what you see in the gallery is a crystallization of more than a decade’s work as an artist, a teacher, a patient, and an ethnographer. I hope that you enjoy it as much as I do. Examples of these works, and others, can be viewed on the artist’s website, www.bradnecyk.com. For more on image theatre and the Theatre of the Oppressed, see Augusto Boal, Games for Actors and Non-Actors (London: Routledge, 2002). For more on rendering’s import in the digital era, see Nicole Shukin, Animal Capital: Rendering Life in Biopolitical Times (Minneapolis: U Minnesota, 2009).